It's always neat to connect with other bloggers and researchers. A few months ago, I connected with D.J. Cockburn who writes a blog entitled Cockburn's Eclectics. DJ wanted to do a piece on Bella in the Wych Elm and touched base with me as he knew I had done some research on Clara Bauerle. He crafted a rather fascinating blog entry about the Wych Elm story and came up with a few interesting theories. His blog is well worth a read. 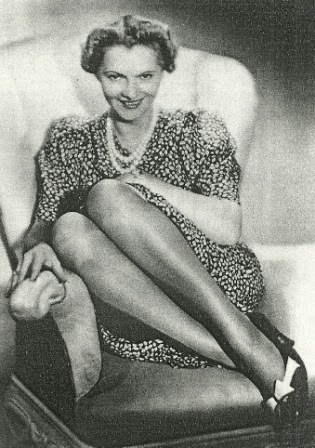 For a while I had entertained the thought that perhaps Bella in the Wych Elm was the infamous Vera Erickson, one of the German spies who landed on the Banffshire coast near Port Gordon in September 1940. Vera was supposedly repatriated to Germany but the British authorities lost track of her quickly. The Bella files indicate that the woman found in the Wych Elm was 5 feet tall. Vera, it turns out was 5'5" tall... and Clara Bauerle was even taller. But check out DJ's blog for a few other theories. Somehow I missed this until now but many thanks. It's almost a pity that you ruled out Vera Erickson as a bit of espionage would add yet another layer of strangeness to the story. I'm still thinking the drunken escapade gone wrong is the most likely explanation, though it doesn't fill all the gaps. Anyway, thanks again for your interest.